Note: Your browser should already be downloading Filter. If it has not: download now. 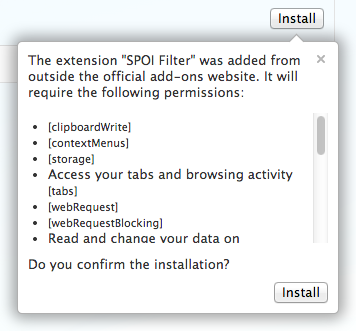 Note: This version of Filter is being installed from our server. It is not being installed from the Opera add-ons store because they have not been great about posting current versions. Uninstall and Update: please see the Opera section of the manual.